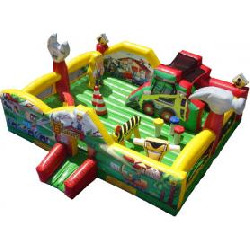 The Little Builder Bounce is filled with fun obstacles for little kids and younger ones at your party. 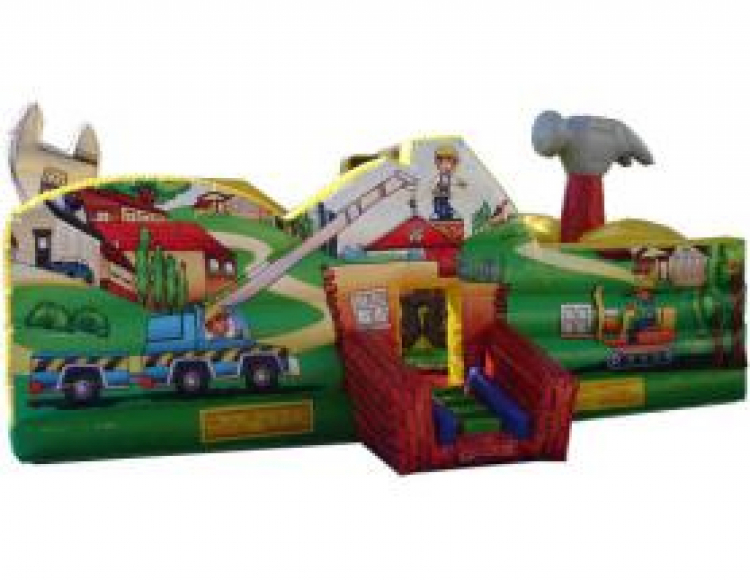 It has a 3 foot climber and slide, crawl through caution sign, obstacle area, and a jumping area. Recommended for children five years old and younger. Will hold approximately 10 children. 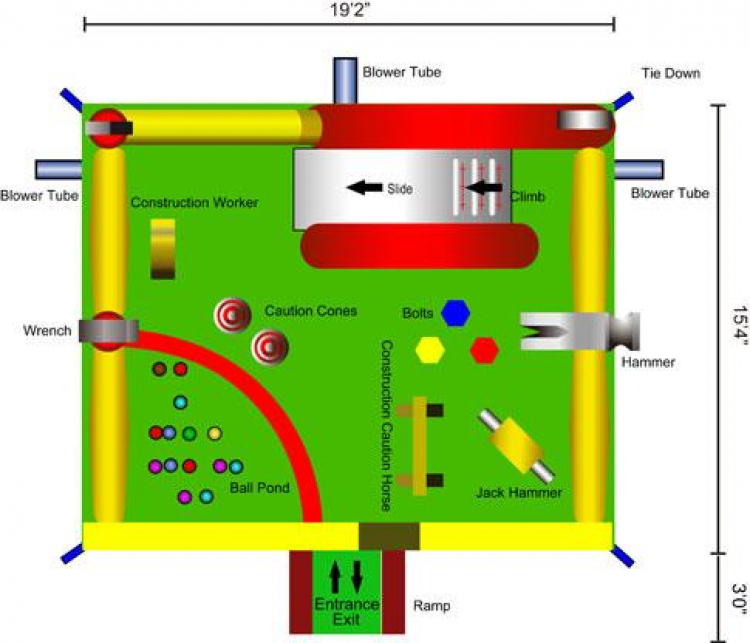 Shorter height allows for possible indor setup. Gate width requires 42'' minimum. Dimensions: 19'L x 19'W x 8'H. Please allow 23'L x 23'W space for adequate clearance.